Commentary by Dr. Whitesel: One of my recent DMin students at Fuller Seminary, Rev. Sharon Koh, shared an amazing “domino effect” video that uses OT metaphors to teach “It is not who you are, but whose you are.” Watch this intriguing video (I guarantee you won’t stop it once it starts). by Bob Whitesel D.Min., Ph.D., 10/8/15. This week I’m teaching a DMin course at Fuller Seminary in Calif. I am also teaching an online course for Wesley Seminary. In both I received a similar question about how to create a “start-up plan” for a new service. A young female Presbyterian pastor asked about reaching out to the urban poor in her church neighborhood. And the African-American Pastor asked about reaching out to Hispanics. The latter summarized stated well the question that I often receive. In my response (below) I outlined the six steps to the start-up planning for a new service. You can also find more about “worship services,” both their launch and their planning on this blog. I think you have some good ideas about reaching out to the Hispanic community. However you may be getting the cart before the horse. By starting with a worship service and bringing in an outside speaker, you coils be beginning an attractional model for which you don’t have any Spanish-speaking persons in the church to support. Rather if you search on churchhealth.wiki about “person of peace” I describe a more indigenous approach. 1) You look for an emerging culture to which you can reach out. That would be the Hispanic culture. 2) You begin looking for a “person of peace” in that culture. This is someone similar to whim Jesus told the disciples to look for in Luke 10:1-12. This is a person of “shalom” (the Hebrew equivalent term) that is well regarded in the community and an influencer. They also are a person who builds compromise and peace among people with different viewpoints. You reach out to that person and begin to disciple them. 10 Now after this the Lord appointed [a]seventy others, and sent them in pairs ahead of Him to every city and place where He Himself was going to come. 2 And He was saying to them, “The harvest is plentiful, but the laborers are few; therefore beseech the Lord of the harvest to send out laborers into His harvest. 3 Go; behold, I send you out as lambs in the midst of wolves. 4 Carry no money belt, no [b]bag, no shoes; and greet no one on the way. 5 Whatever house you enter, first say, ‘Peace be to this house.’ 6 If a [c]man of peace is there, your peace will rest on him; but if not, it will return to you. 7 Stay in [d]that house, eating and drinking [e]what they give you; for the laborer is worthy of his wages. Do not keep moving from house to house. 8 Whatever city you enter and they receive you, eat what is set before you; 9 and heal those in it who are sick, and say to them, ‘The kingdom of God has come near to you.’ 10 But whatever city you enter and they do not receive you, go out into its streets and say, 11 ‘Even the dust of your city which clings to our feet we wipe off in protest against you; yet [f]be sure of this, that the kingdom of God has come near.’ 12 I say to you, it will be more tolerable in that day for Sodom than for that city. 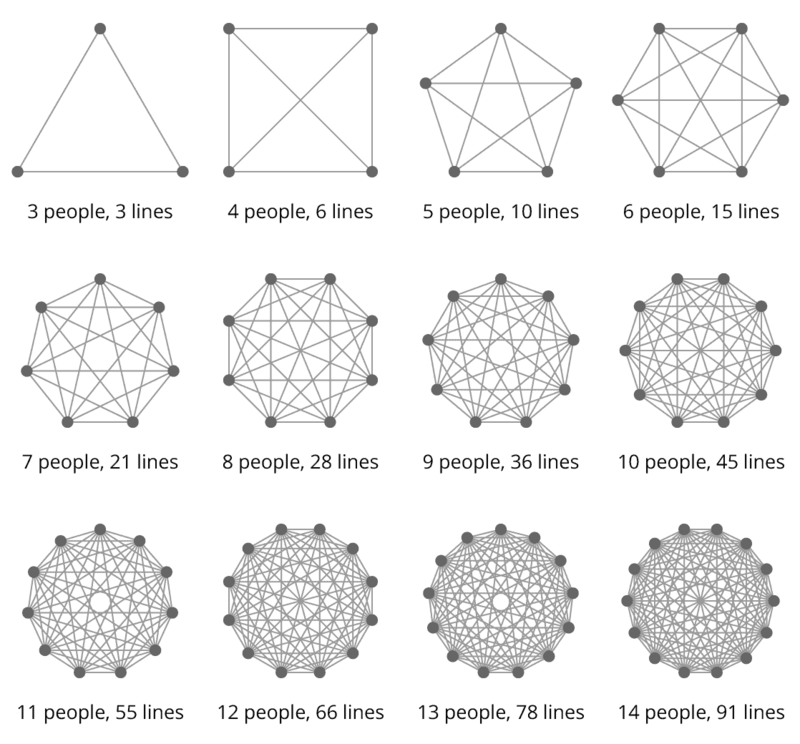 4) Once you have a small group (up to about eight or 10 people) you explain to them their purpose is to take a few people from the existing group and start another small group. This creates a second small group of this emerging culture. 5) Finally once you have two small groups of about 8 to 10 people each (of this new culture), you offer to them the church building in which to launch and lead their indigenous worship service. They then come together and organize the worship service themselves (under your leadership, but with their aesthetics and speakers). Then let them launch a worship service. by Bob Whitesel, D.Min., Ph.D., 1/29/15, excerpted from my books with page numbers and footnotes. Here and throughout the book, I will use the customary congregational size designation as codified by Gary McIntosh in One Size Doesn’t Fit All: Bringing Out the Best in Any Size Church (Grand Rapids, Mich,: Revell, 1999), 17-19. The 2001 census in the United Kingdom created controversy when it listed the following ethnicities. These categories are reprinted there again, not to offend, but to demonstrate the broad range of possible designations and the difficulty in creating acceptable lists. Thus, the purpose of this list is simply to acquaint the reader with the immense variety (and potential controversy) of ethnic groupings. The World Factbook: CIA Edition (Washington, D.C.: Potomac Books; rev. ed., 2006, CIA 2005 ed.). Immanuel Wallerstein, The Modern World-System I: Capitalist Agriculture and the Origins of the European World-Economy in the Sixteenth Century, Studies in Social Discontinuity (Burlington, Mass. : Academic Press, 1980). Joseph V. Hickey and William E. Thompson, Society in Focus: An Introduction to Sociology, 5th (Boston, Mass. : Allyn and Bacon, 2004). See Bob Whitesel and Kent R. Hunter, A House Divided: Bridging the Generation Gaps in Your Church (Nashville: Abingdon, 2001). For an extensive analysis on the distinguishing characteristics of each generation see Whitesel and Hunter, A House Divided and Gary McIntosh One Church, Four Generations: Understanding and Reaching All Ages in Your Church (Grand Rapids, Mich.: Baker, 2002). Bob Whitesel, Inside the Organic Church: Learning from 12 Emerging Congregations ( Nashville, Abingdon, 2006), x-xii. Whitesel, Inside the Organic Church, x-xii, xxvii-xxxiii. For a detailed look at the postmodern Xer; fresh ideas for the church, as well as the differences between modernism and postmodernism, see Inside the Organic Church: Learning from 12 Emerging Congregations. x-xii, xxviii-xxxiii. Anonymous, Thunder Roads Magazine, vol. 5, no. 2 (2007): 5. For more on this innovative, growing evangelical church with the unlikely name, see the chapter dedicated to the church and what every church can learn in Whitesel, Inside the Organic Church, (76-87). Does not have an explicit list of cultures (especially like the ones in Change an Cure). However, it does discuss “mosaic churches” on pp. 71-72 (footnote 39- 41 – see below) and 77-81 (footnotes 59-63, also see below). For more on these types of churches, see “Types of Multiracial Churches” in George Yancey’s One Body, One spirit: Principles of Successful Multiracial Churches. Bob Whitesel, “Communicating the Good News Across Cultural Divides” in Preparing for Change Reaction: How to introduce Change in Your Church (Indianapolis: Wesleyan Publishing House, 2008), 62-68. 60.Brian Schrag and Paul Neeley, eds., All the World Will Worship: Helps for Developing Indigenous Hymns (Duncanville, Tex. : EthnoDology Publications, 2007). C. Peter Wagner traces such blending through history as an “assimilationist model” that seeks “Anglo-conformity” in Our Kind of People: The Ethical Dimensions of Church Growth in America (Atlanta: John Knox, 1979), 45-49. Such committees might include trustees, financial, staff-parish (HR), and so on. Sociologists, however, refer to this as the “new pluralism” or “structural pluralism.” See Milton Gordon, “Assimilation in America,” Daedalus 90, no. 2 (1961): 263-85. 64.George G. Hunter III, The Contagious Congregation (Nashville: Abingdon Press, 1979), 63. Mosaic is a term that has been applied to multiethnic churches largely due to the popularity of some megachurch models. See Erwin Raphael McManus, An Unstoppable Force: Daring to Become the Church God Had in Mind (Colorado Springs: Group Publishing, 2001). The melting pot imagery can be traced to Israel Zangwill’s popular play The Melting-Pot (1908) where the protagonist cries, “Germans and Frenchmen, Irishmen and Englishmen, Jews and Russians – into the crucible with you all! God is making the American.” Quoted in Winthrop S. Hudson, ed., Nationalism and Religion in America: Concepts of American Identity and Mission (New York: Harper and Row 1970), 127. C. Peter Wagner, who wrote his dissertation on models of assimilation and pluralism, defined new pluralism as “a model in which America is seen as a nation that maintains group diversity within national unity.” Our Kind of People, 50. Nathan Moynihan and Daniel Patrick Glazer, Beyond the melting Pot (Boston: MIT Press, 1984). Indiana University scholar Gerardo Marti has written extensively on Mosaic Church in Southern California (led by Erwin McManus) and believes that its multi-ethnicity is produced in part by “playing down” ethnic differences and uniting around evangelicalism. For more on Marti’s analysis, see A Mosaic of Believers: Diversity and Innovation in a Multiethnic Church (Bloomington: Indiana University Press, 2009). Wagner, Our Kind of People, 51.
by Bob Whitesel Ph.D., 1/4/08. They see the need and the future. They have a limited idea of how to get there, but they have been exposed to various models to accomplish change. However, strategic leaders do not typically have the patience to analyze, fine-tune, crunch-the-numbers, tweak, perfect, evaluate and adjust a strategy. Subsequently, strategic leaders often try to just apply (e.g. franchise) a strategy that has worked elsewhere. The strategic leader may purchase step-by-step manuals for operational leaders. And while this is a good starting place, because tactical leaders who can adjust the methodology for the church’s own unique scenario are not involved, the canned strategy is often abandoned with people saying “that doesn’t work here.” Again, the problem is not the strategic leaders or the operational leaders. They are both doing their jobs. The problem is created because an important linking and planning element of leaders is missing: the tactical leaders and their organizational skills. They then become our crucial … and missing link in effective change. If they are missing, change strategies are not adapted to the local context and the process is unorganized. They are the key go-betweens among the strategic and operational leaders. Tactical leaders have the requisite skills of analysis, step-by-step planning, numbercrunching, and detail management to bring a change to fruition. This is the contribution of the tactical leaders. In military jargon these are the “boots on the ground,” meaning the frontline workers who must adjust the tactics they are given. They are relational teams of workers, who derive much of their satisfaction from both their teammates and their visible accomplishments. Operational leaders may also volunteer to be tactical leaders, because relationships are so important to them they do not want to see the strategic leader in a quandary. They may say something like “Pastor, I know you are in a spot here. So I’ll help you out.” If an operational leader says this, interview that person and then if this operational leaders does not have the analytical, diagnostic and methodical skills to create and manage an elaborate plan, graciously decline their offer. To thrust operational leaders into tactical positions will frustrate them, and eventually due to their gracious and relational nature, they will quietly fade away from their failed tactical task. 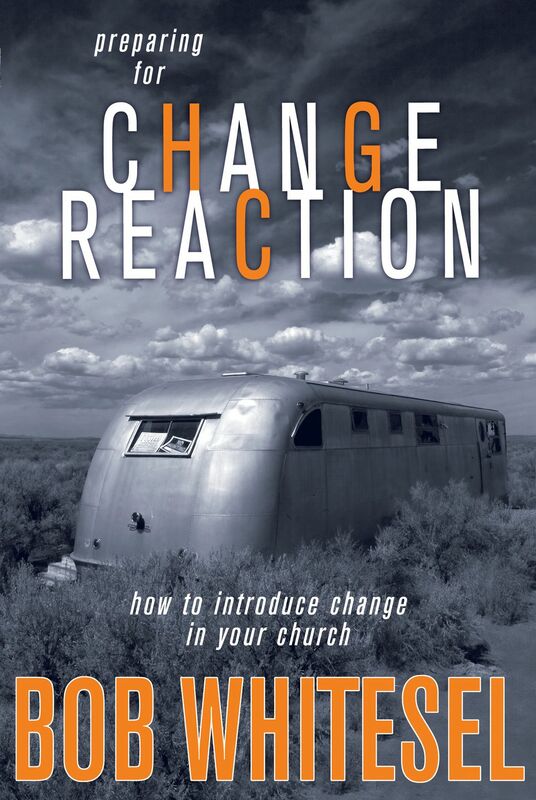 Why then does change so often fail in congregations? It has been my observation that it is because strategic leaders (often pastors) try to orchestrate the tactical process. Often if a strategic leader in the role of a pastor or a department head tries to move the church forward with some change, the congregants will become frustrated because of a lack of precision in the plan. The plan to them will appear too nebulous and imprecise. At the same time the strategic leader will expect the relationally-orientated operational leaders to create a plan. And though the operational leaders are the key to the success of the process, their emphasis upon relationships usually trumps their interest in the administrative details, budgeting, volunteer recruitment and evaluation that is required. The answer is that change needs the critical link between strategic leader and operational leaders: tactical leadership. Therefore, to succeed with change, it is important that at the outset of this book the pastor look around him or her develop those tactical leaders who can map-out the change processes outlined in this book, and who will enjoy doing so. 1. What kind of tasks do you enjoy? a. Dreaming about the future. c. Getting to know a person you work with. d. Graphing on paper a new plan. e. Analyzing what when wrong with a past strategy. f. Creating a visual map of the planning process. h. Sharing about your family history. i. Reading books on new ideas. j. Attending seminars on creativity. k. Tackling a numerical problem. l. Reading books on history. m. Researching costs associated with a project. p. Leading under 12 people on a project. q. Recording the minutes of a meeting. r. Loading and adjusting new software on your computer. s. Designing ways to better communicate an idea. t. Relaxing by sharing with friends about hobbies. u. Relaxing by sharing with friends about what when wrong. v. Relaxing by dreaming with friends about new ideas. w. Working on a hobby with a few closer friends. x. You share your personal feelings easily with others. y. You share your new ideas easily with others. z. You like to get a job done with a minimum of fuss. TOTAL BELOW: For each letter you circled, put a check in the corresponding box below. You may be primarily comfortable with a leader style associated with the box that contains the most checkmarks. by Bob Whitesel, D.Min., Ph.D., 9/23/15. Wesley was a firm believer in authentically and indigenously experiencing the poor in their surroundings. He knew this would create a life-long solidarity with those in need. 1) If you are one of my students or leading a team, ask yourself (and them): when is the last time you experienced first-hand the living conditions and spiritual sensitivity of the abject poor? 2) If you have not done so in the last four weeks, then plan to do so today! 3) And make this fellowship with the poor in their environments, a part of your spiritual formation (it was for followers of Wesley’s methods, who became know as “Wesleyans”). I have found some of the uneducated poor who have exquisite taste and sentiment; and many, very many, of the rich who have scarcely any at all. But I do not speak of this: I want you to converse more, abundantly more, with the poorest of the people, who, if they have not taste, have souls, which you may forward in their way to heaven. And they have (many of them) faith and the love of God in a larger measure than any persons I know. Creep in among these in spite of dirt and an hundred disgusting circumstances, and thus put off the gentlewoman. Do not confine your conversation to genteel and elegant people. I should like this as well as you do; but I cannot discover a precedent for it in the life of our Lord or any of His Apostles. My dear friend, let you and I walk as He walked. Never let your expenses exceed your income. To servants I would give full as much as others give for the same service, and not more. It is impossible to lay down any general rules, as to ‘ saving all we can’ and ‘ giving all we can.’ In this, it seems, we must needs be directed from time to time by the unction of the Holy One. Evil spirits have undoubtedly abundance of work to do in an evil world; frequently in concurrence with wicked men, and frequently without them. WORSHIP & A Short Video on ‘Is There Such a Thing as Normal Worship?” NO. Commentary by Dr. Whitesel: “This video was shared by one of my Wheaton College grad. students. (Don’t worry, I haven’t left Wesley Seminary at IWU. I’m often a guest professor for Wheaton College). This 4 minute video explains why having both separate and combined worship experiences is important. (For more on why both are necessary, download ‘Five Types of Multicultural Churches‘ from my book: The Healthy Church.